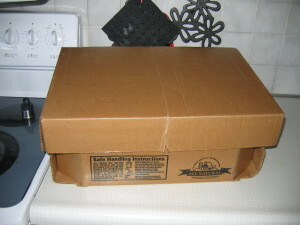 Last Tuesday a 40 pound box of chicken from Zaycon foods (click for the link) had my name on it. Several of my friends ordered too, so I invited my self over to my good friends house, because after all work is much more fun with company, right? 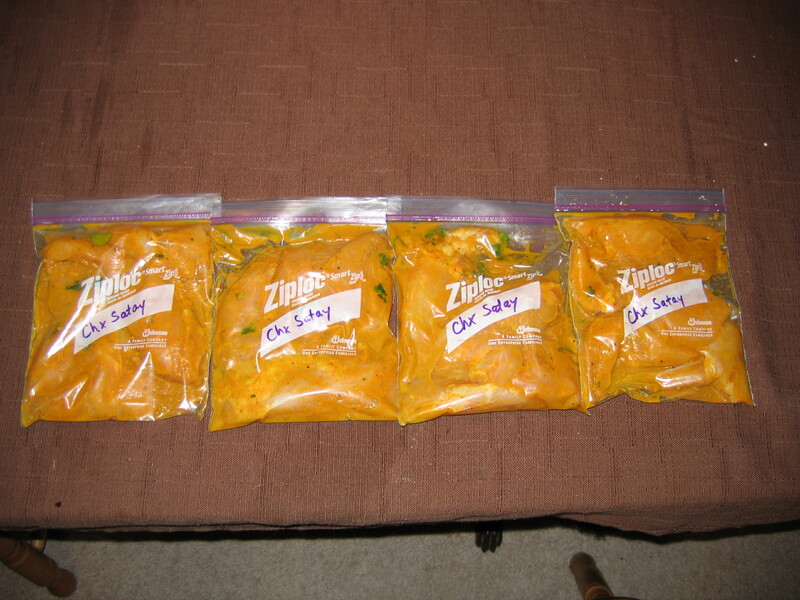 I wish I could tell you we arranged a formal freezer cooking party, but we didn’t. 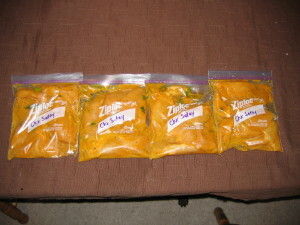 We each did our own thing, but what I did do is prep all the chicken for freezer meals and we had fun visiting and working. I should have taken pictures while I was prepping chicken, but alas I had chicken goo on my hands and NO ONE wants chicken goo on the camera right? You’ll forgive me? Right? The chicken breast were huge. So I am glad I planned prep time. 10 pounds simmered in the crock pot on low for the day. 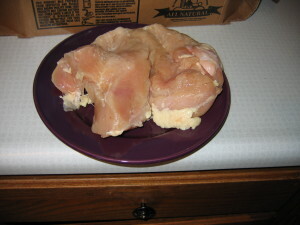 (This is frozen in 1 and 2 cup portions in snack and sandwich size plastic bags and frozen for quick meal prep. 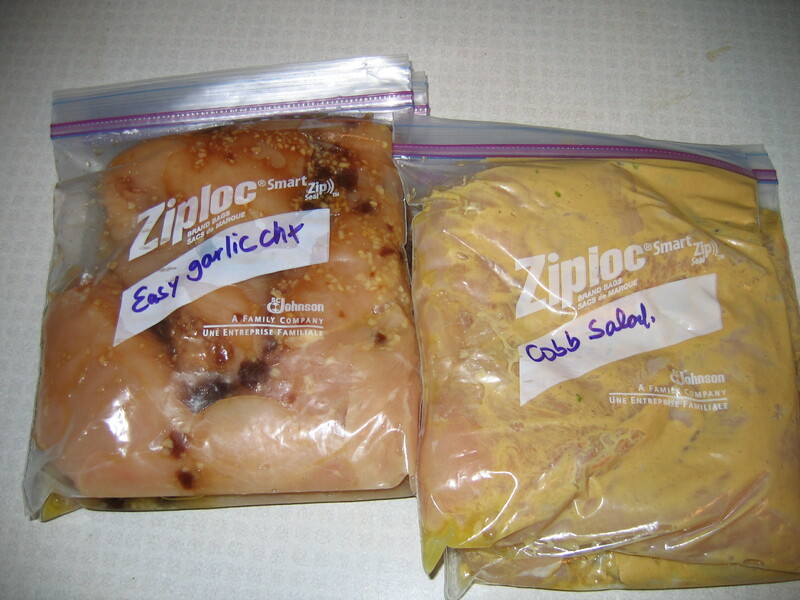 Many recipes call for cooked chicken and this saves so much time). Some of these meals have a little more than a pound in them. 40 pounds sounded so overwhelming, but it really was not too bad. 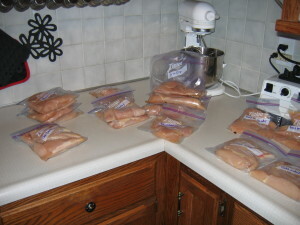 17 meals in the freezer and at least 18 meals of chicken ready to be quickly thrown together from the freezer. 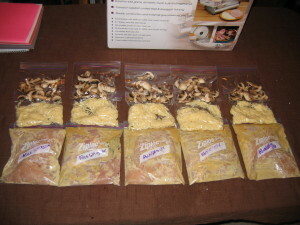 If you haven’t done a bulk cooking session, it is worth the effort, but plan to have a crock pot meal going or to go out to eat, unless of course you want to eat your labor right away. I prefer to have my meals in the freezer for at least a day before they start disappearing. This entry was posted in Uncategorized and tagged bulk cooking, chicken, freezer, recipe. Bookmark the permalink. These look great!! 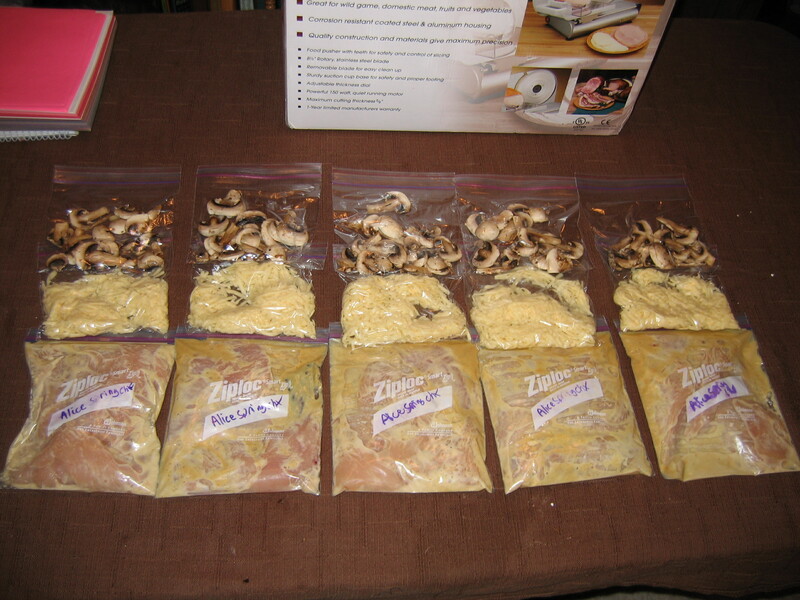 I really need to get my meal plan done and do this again because the time I did it we saved SO much and it was fantastic having so many meals ready to throw in the crock pot! I look forward to seeing your recipes! You know, that’s a great idea!! I have got to get better at doing exactly that. I don’t have an extra freezer, and would love to get one someday. I think the freezer meals and buying bulk is the way to go! It looks yummy and you are right, no one wants chicken goo on their anything!! 😉 Stopping by from the Boosting 100 hop.